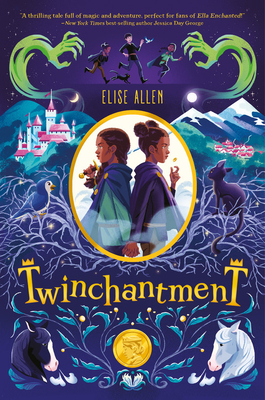 Emmy-nominated writer and New York Times best-selling author Elise Allen made a name for herself with her acclaimed young adult novel Populazzi. She also cowrote Hilary Duff's best-selling Elixir series, as well as Bella Thorne's series, Autumn Falls. She is a longtime television writer, with credits including The Lion Guard, Rainbow Rangers, and Abby Hatcher Fuzzly Catcher. Most excitingly, her middle grade series Gabby Duran and the Unsittables, cowritten with Daryle Conners, is currently in production as a TV series on Disney Channel. You can find Elise on Twitter @EliseLAllen.